I don’t write a ton about my day-to-day goings on at work, but trust me when I say they are many, and they are crazy. My to-do list never ends, and my schedule never stops. I know I’m not alone when I say this, but still: I am busy all the time. Luckily, I like a lot of my projects, and none more so than THIS. Okay. Is this right in my wheelhouse or what? First of all, if you don’t know who Gregory Alan Isakov is, you need to change that right now. He’s an amazing talent, and a great guy, to boot. He has a new record out called “The Weatherman,” and it’s all I see people talking about in my Facebook newsfeed this week. It’s really, really good – and I’m lucky enough to be joining him for 3 tour dates in August when the LÄRABAR contest winners perform during his shows. 1) If you’re a singer-songwriter (and I know a lot of you are! ), enter the contest. We want to hear your songs – and if you win, you’ll be hanging out with me in California next month (the real prize, let’s be honest). 2) If you’re not a singer-songwriter, pass the contest along to anyone you know who is. 3) If you live in California, get tickets to GAI’s San Diego, Santa Barbara, or San Francisco show – and let me know you’ll be there, because I’d like to hug you. I’ll probably be at the Los Angeles show, too. 4) If you live anywhere else in the US or Canada, go see GAI. He’s touring all over this summer, and you’ll love him. I’m busy. But this project is the best kind of busy. In the midst of the stress and the chaos, I feel really lucky to have the chance to work on something fun, something that makes me happy. God is so good. I love that you’re working on this! Okay – but does the song have to be about Larabar?? Ha. I guess because you won that jingle contest that one time, that’s where my head went. But I can submit anyone of my songs?? Marijke – it’s not a jingle contest (thank God). 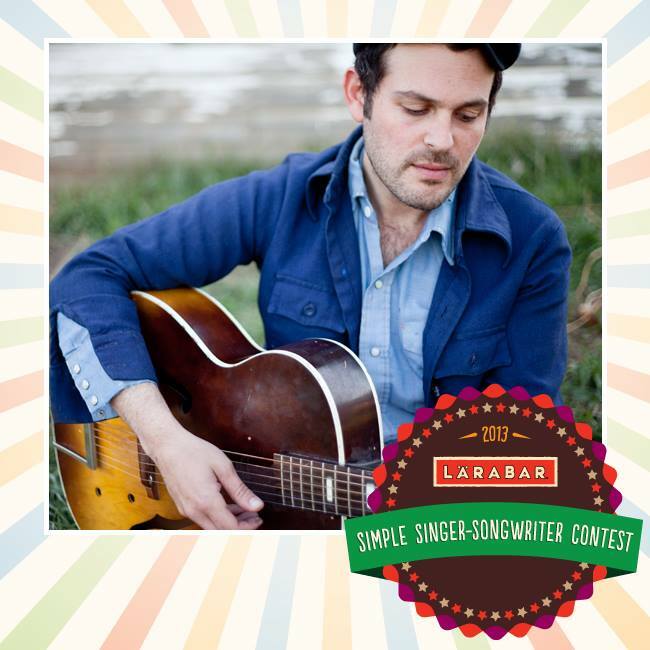 :) This is a legit songwriting contest – send in your best! I like GAI – thanks for the intro! What fun! I’m a poet with mad photo skilz and professional historian, but alack, not a songwriter. I can write lyrics to virtually any tune you throw at me, but they are generally silly and involve sheep or yellow dogs. Just don’t ask me to compose. I do continue to champion the music of one Annie Parsons, however. She touched my heart. Glad you’re having some fun along with all the work! Oh, ANnie! This summer, I am stuck in San Antonio, but NEXT SUMMER, we are moving to San Diego. So, tell LARABAR to do this again next summer & I’ll see you then. I proof-read, but obviously not well.